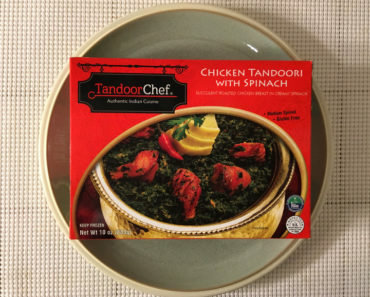 Tandoor Chef is one of those frozen food brands that seems incapable of making a bad meal. 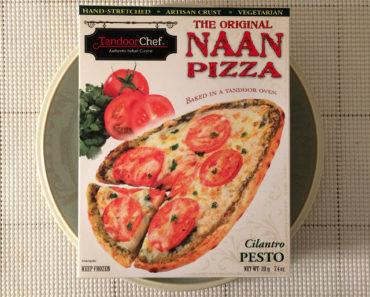 Their naan bread pizzas are wonderful, their curry dishes are amazing, and they make some killer samosas. 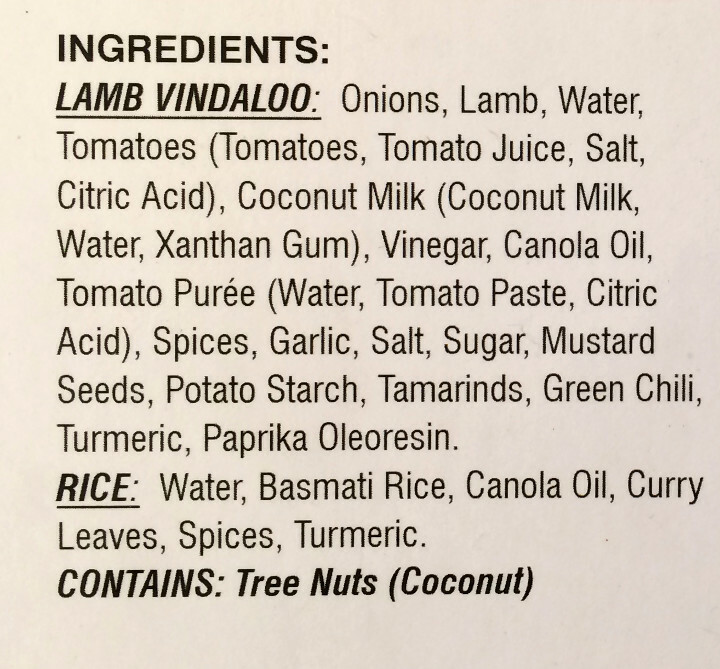 So we had pretty high expectations for the Tandoor Chef Lamb Vindaloo. Our meal came with four pieces of lamb in a spicy sauce, with a decent-sized side of basmati rice. 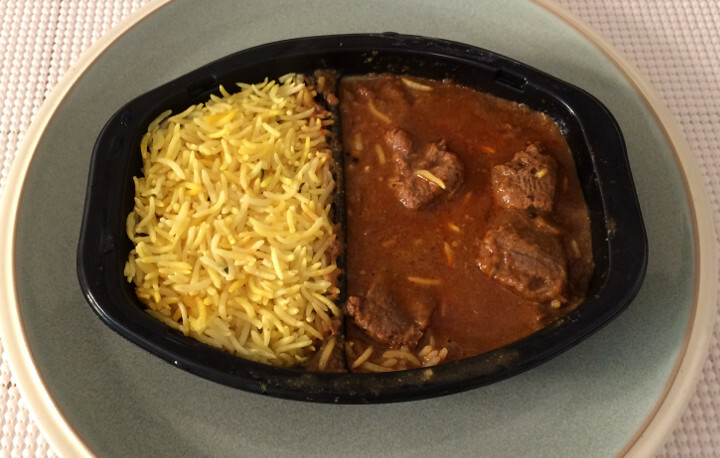 The rice portion is sectioned off from the lamb with a plastic divider built into the tray, though some rice will inevitably jump into the lamb side of the dish during the cooking process. First off, the lamb meat here is delicious. It’s rich and juicy, and actually has an intense roast beef-like flavor, which we weren’t expecting. Lamb and beef typically don’t taste that much alike, but we found this to be a very beef-like lamb meat. The biggest difference was consistency, as this lamb meat tends to melt in your mouth — there’s not even the slightest hint of toughness to it. The sauce is quite good as well. 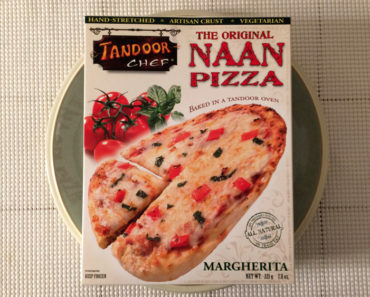 It’s a savory sauce with quite a bite to it. 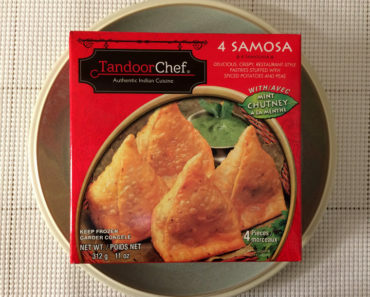 This meal is rated at a medium spice level, but keep in mind this is a medium for an Indian food. It’s actually pretty darn spicy — the kind where you can feel it in the back of your throat. Spice-ophobes are going to want to stay away from this. The rice isn’t much on its own, but there’s a substantial enough portion of it that you should be able to mix all the rice into the sauce — and this is definitely the ideal way to eat this meal. Everything tastes great when it’s all mixed together. 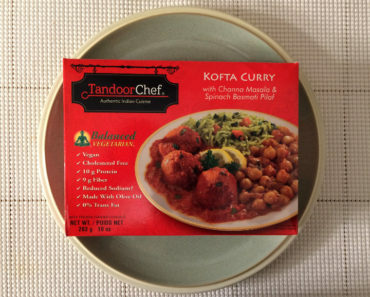 This meal contains 350 calories (120 from fat), which we don’t think is bad at all — especially for an authentic-tasting Indian dish with a spice level that punches you in the sinuses. It does contain 610 mg of sodium, and that’s more than some people will be willing to consume. So be careful if you plan on eating a lot of frozen food, since the sodium level is pretty high in so much of it. 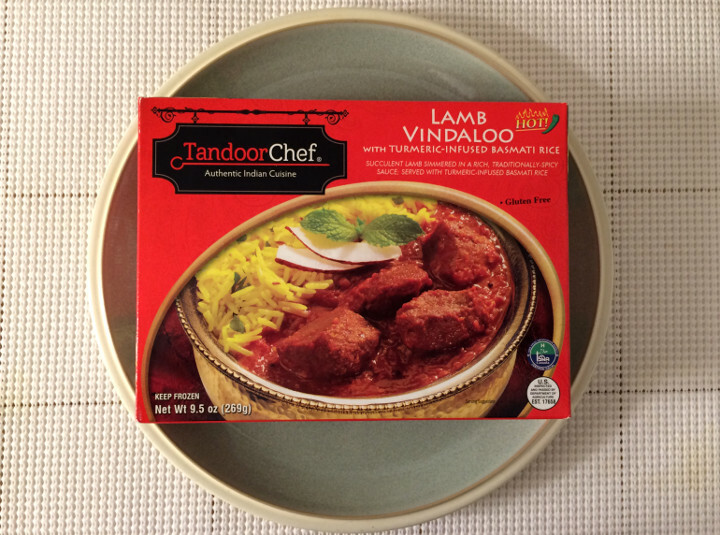 The Tandoor Chef Lamb Vindaloo is an incredible meal. 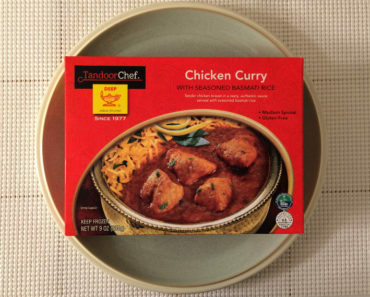 We do prefer the subtle sweetness of a curry-based dish to the savory flavor of this one, but we still find the Lamb Vindaloo to be quite good. To learn more about the ingredients or nutrition content of this frozen food, check out our package scans below.